Death Row Records’ saga of financial issues that has plagued the label since the early 2000’s might finally be coming to an end this year. Reports claim that the current owner of the label, WIDEawake Entertainment Group Inc., is filing for bankruptcy and wants to sell Death Row Records in order to save the company. Bankruptcy is a legal term. When a person or business entity accumulates a large amount of debt that they cannot pay back, they may file for bankruptcy. Typically a debtor will hire a bankruptcy lawyer to help add up the total amount of assets the filer has and how much accumulated debt they owe. If it is clear that the debtor cannot pay back the debt, then they can proceed with filing for bankruptcy. If successful, all debts the debtor owes will cease. Bankruptcies typically stick to your credit for ten years and make it difficult to get loans, credit cards, a house, car, etc. So only proceed with filing for bankruptcy if you are prepared to deal with the not so glamorous side of it. Death Row Records was a record company founded by Dr. Dre, the D.O.C., and Suge Knight in 1991. The label featured and signed talented rappers and hip hop artists including Tupac Shakur, Snoop Dogg, Dr. Dre, The Outlawz, The Lady of Rage, MC Hammer, Young Soldierz, Sam Sneed, LBC Crew, RBX, Michel’le, Jewell, Danny Boy, DK Quik, O.F.T.B., Nate Dogg, and many others. In its hayday Death Row Records was making nearly one hundred million dollars a year. After the tragic death of beloved rapped Tupic in 1996, many of the above mentioned artist left the label but Death Row Records was still able to stay afloat. How could such a powerful record label go bankrupt? Death Row Records first filed for bankruptcy in 2006 with claimed debts exceeding nearly a hundred and thirty-seven million dollars and over four million dollars in assets. Warner Music group bid twenty five million dollars for all of Death Row Records’ musical assets. In 2009, Death Row Records was auctioned to the development and entertainment company WIDEawake Entertainment Group Inc. for nearly eighteen million dollars. Everything remaining in the Death Row Records office was also auctioned off, including the eponymous Death Row Records electric chair worth nearly three thousand dollars. Since the sale in 2009, Death Row Records continued to put out material found in archives, including B-sides and unreleased tracks from artists including Snoop Dogg and Danny Boy. The management from WIDEawake Entertainment Group Inc. has tried to improve the image of Death Row by keeping their promise to pay royalties to the artist, songwriters, and producers that contributed commercial releases to the label. However, WIDEawake Entertainment Group went bankrupt some time in 2012 and started looking for an entity to purchase the Death Row Records label in order to buoy their own company. Now the legacy of bankruptcy around Death Row Records seems to be over with. Since the sale in 2009, former Death Row Records artists continue the claim the label owes them an insane amount of money. Snoop Dogg is owed two million dollars, Nate Dogg is owed nearly five million dollars, and Dr. Dre is owed around eight million dollars. Suge Knight claims that he is owed nearly a ridiculous one hundred and forty four million dollars. The only artist to ever have been paid by the label was the late Tupac Shakur. The seventy five thousands dollars he received went to his mother’s estate. The final bankruptcy report being filed by WIDEawake Entertainment Group is set to be completed this year and artists aren’t expecting any money to come their way. The final report will likely be signed by a judge and the once huge Death Row Records will be totally defunct. I think I want to file for bankruptcy but I don’t want to make any mistakes! Help! If you want to file for bankruptcy on your own, chances are you may be making a not so wise choice. It is easy to make small mistakes that could lead to getting into trouble for bankruptcy fraud. The fantastic bankruptcy lawyers at My AZ Lawyers, PLLC will walk you through the steps of bankruptcy filing and can help you avoid mistakes. A Mesa bankruptcy law firm with qualified lawyers should be experienced, have specialized expertise in the area of bankruptcy and financial law, and fight for your needs. 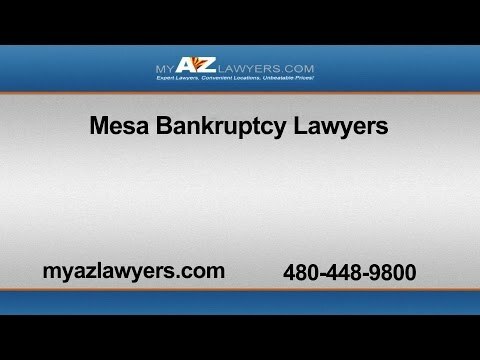 Call My AZ Lawyers today if you want a bankruptcy lawyer that will fight to help you.